Who is the 2018 Gender Justice Giving Project in Portland? 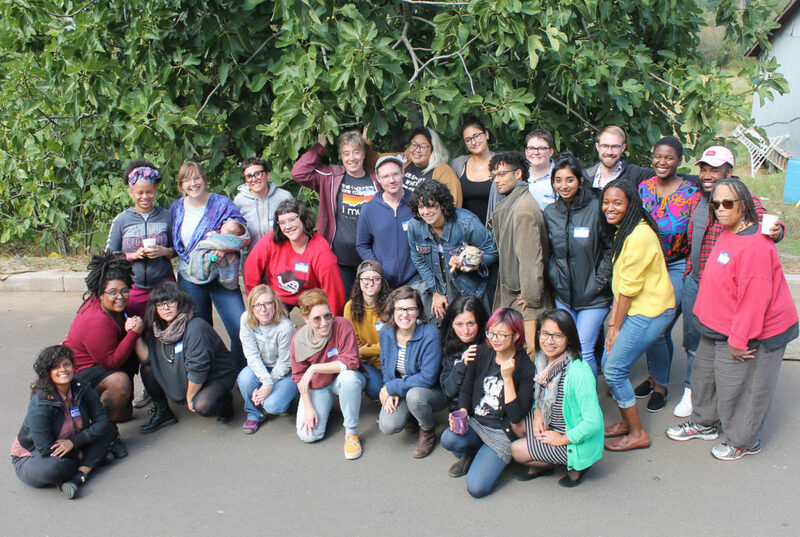 The 2018 Gender Justice Giving Project consists of Portland based organizers, dreamers, gardeners, bakers, accidental comedians and awkward introverts who all believe in the power of community. We are a true diversity of thought, idea, background and experience and are beyond excited to be able to work towards grassroots funding in Gender Justice. Gender Justice work is so needed in our current political climate. As funds continue to be restricted and directed not only away from but in opposition to gender justice we have an immediate call to support reproductive rights, trans and gender nonconforming rights, LGBTQI+ rights, women’s rights, Black, Indigenous and People of Color rights and the rights of survivors. The two-year, general operating grants we make will support organizations working for gender justice around our five-state region: Idaho, Montana, Oregon, Washington, and Wyoming. We will fund organizations who use an intersectional lens of race, class, and gender and use community-led solutions to create thriving, safe and just communities. You can support the project by making a gift to help fund gender justice social justice work in our region. The deadline to donate is Feb 27! Go HERE to donate and put “GJGP PDX” in the comments box. If you were asked by a giving project member, please don’t forget to include their name in the comments field as well. Contributions to Social Justice Fund NW’s 2018 Gender Justice Giving Project in Portland are tax deductible. We also accept donations by check, stock, donor advised funds, and planned giving. Please go here for more information on how to give.